Browse content similar to Blue Peter - You Decide!. Check below for episodes and series from the same categories and more! 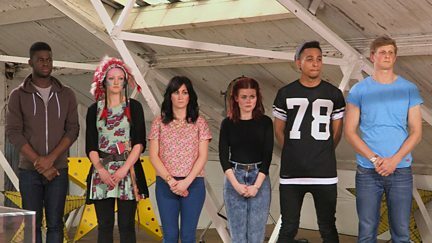 10 contestants battle it out for the judges to become the new Blue Peter presenter. The six remaining hopefuls ride a roller coaster and scale the heights of Blackpool Tower. The remaining five Blue Peter presenter hopefuls show how creative they can be. The four remaining presenters are tested on their interviewing skills.